A contemporary styled, hard-wearing and robust litter bin. Pacific is a contemporary styled, hard-wearing and robust litter bin. The large 130-litre capacity makes it ideal for collecting high volumes of litter, while its attractive appearance will complement all locations. 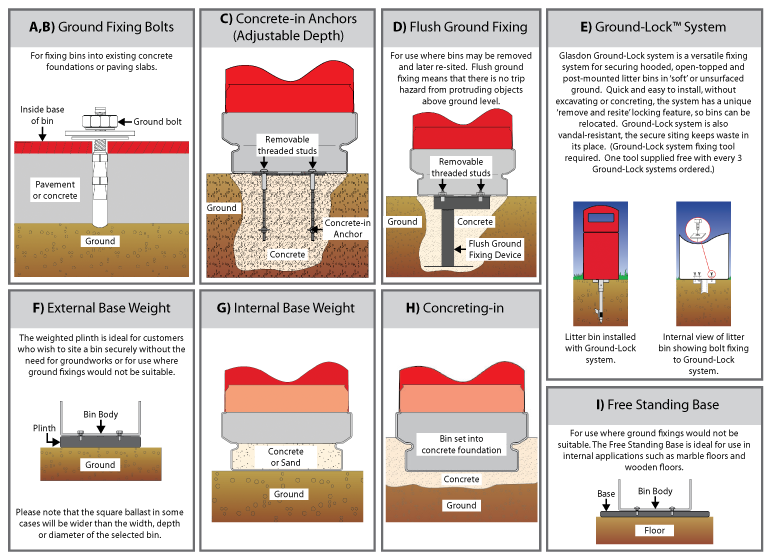 Domed base for free-standing stability. Robust hood with keyed locking mechanism. 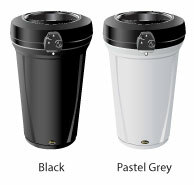 Bin Body: Black (100% recycled material), Pastel Grey.